RJV 's Blog: Just awesome! How many times have you wished for a simple way to enter dates into your Excel worksheets? "Calendar Pane" for Excel 365. Try it for free from the Office store. 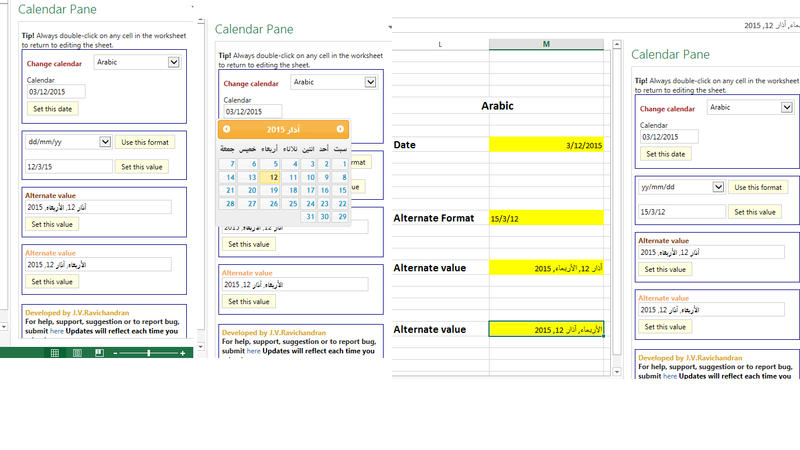 Calendars in Arabic, Chinese (simplified), English, Tamil. You cannot say "No" to this because you need it to save you precious minutes at work.